Miguel Lopez Jr. Asphalt Maintenance, Florida’s Asphalt Expert, has promoted Eddy Lopez to the newly created position of President, Asphalt Maintenance Division. 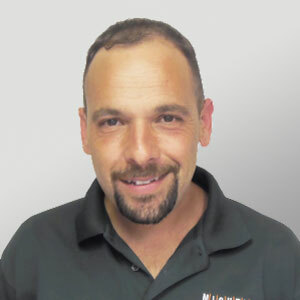 Mr. Lopez has been with t he company for 24 years, most recently serving as Regional Sales Manager. In his new position he oversees all projects, estimates, pricing and scheduling for the company. Miguel Lopez Jr. Asphalt Maintenance is a full service asphalt contractor serving Florida since 1989, earning a coveted reputation for professionalism, quality, and outstanding service. We are honored to have earned the following distinctions: 2017 Inc. 5000 Honoree earning position 2522 of the fastest-growing private companies in America; Federally Certified SBA 8(a); and FDOT Certified Disadvantaged Business Enterprise (DBE). For more information please visit www.lopezinc.com or call 954-749-7234.